The wars between Ngāi Tahu and Ngāti Toa were fuelled partly by revenge. In the late 1820s, Ngāi Tahu killed several Ngāti Toa chiefs at Kaiapoi. In 1830, Te Rauparaha persuaded a British sea captain to take him to Takapuneke, on Akaroa Harbour. There he seized Ngāi Tahu’s leading chief, Te Maiharanui (Tama-i-hara-nui), by deceit. Te Maiharanui was taken back to Te Rauparaha’s Kapiti Island stronghold and killed. 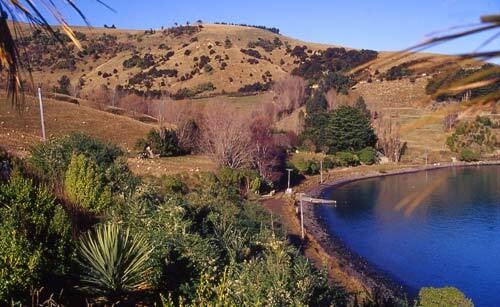 Takapuneke, the scene of this incident, is today a peaceful spot just south of the township of Akaroa. Takapuneke was the scene of a massacre and is very sacred.A British sea captain should have been charged with mass murder but was never brought to justice. The local council had a sewerage plant and a dump on this sight. It has only recently been cleaned up and vested in local Iwi care. The truth should never be witheld.